These have been in the kitchen since December of last year. I finally moved them to the basement when I got back from vacation. I think, since it's June, it's probably safe to put them down there. Don't laugh. 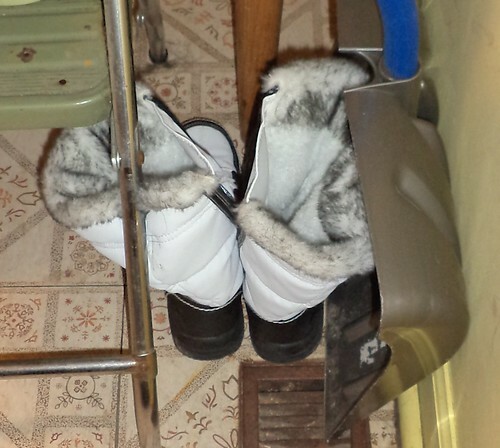 After the winter we had, I'm superstitious enough to keep them upstairs until ALL chances of snow are gone. I guess I'm trying to ward off another year without a summer.